Connector：USB 2.0 A Male To DC 2.5mm. 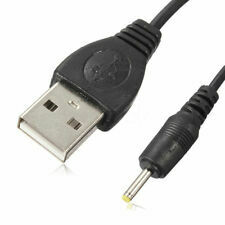 USB type: 2.5 x 0.7mm male plug. 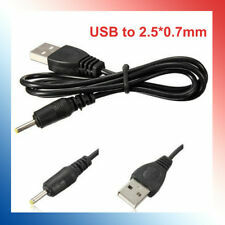 1 x 2.5×0.7mm DC USB Cable. LED Indicator. HTC One M8, M9, Desire, Wildfire. For Example:-. Add to Favourite. 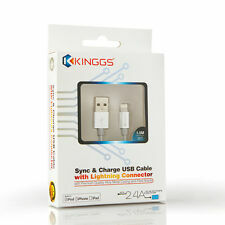 Compatible with All Micro-USB Devices from Samsung, HTC, Sony, LG, Huwaei, Motorola, Nokia. And JXD S7800 S7800B Gaming Tablet. Great as an extra or in case that you lost your old one. Compatible with: Most of the Tablet Models. IPhone 5 / 5S / 5C / 6 / 6s / 6 Plus / 6s Plus / SE / 7 / 7 Plus / 8 / X. 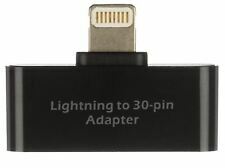 This lightning adapter is a small, convenient solution that allows you to use your Apple 30-pin cables with newer Apple devices. Microsoft surface Pro 3. - Cable length: 1.2 M. - Small and light weight design is convenient for everyone to carry. - Color: Black. Detail: *8pin Female Converter Adapter allows to charge your Apple Pencil directly from any lightning cable. *Mini size, perfectly place in your pocket. *Easy to use. *Item Condition:100% Brand New *Color:White (As Pictures Show) *Input:DC 5-12V *Output:DC 5V Warm tip:This adapter can't be used as a Lightning Cable Extender. Package Contents: 1*Converting Adapter (Lightning Cable and Apple Pencil are Not included.) Notes: The real color of the item may be slightly different from the pictures shown on website caused by many factors such as brightness of your monitor and light brightness. • Connectors: USB 2.0 Type A Male to 40 Pin Data Port. 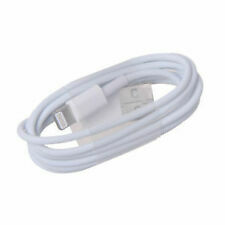 • Cable Length: 95cm. • High quality and durable for long life use. • Light weight and portable. • Easy to set up and use. Great as an extra or in case that you lost your old one. Compatible with: Most of the Tablet Models. 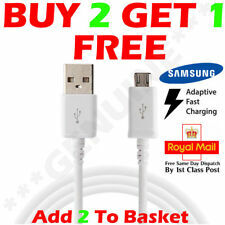 These USB Data Sync Cable Are Compatible With Samsung Galaxy Tablet GT-P1100 GT-P3113 GT-P3110. Cable Length: 2M. or PC for charging and synchronising your device. For Apple iPad Pro 11" & iPad Pro 12.9 2018". Original TECHGEAR® Type C USB to USB Cable - Type C USB (Male) to USB A (Male) charging and data transfer cable. USB-C to USB-A 3.1 Fast Charging and Sync Cable. Microsoft Surface 3 7G5-00015 7G5-00001 Tablet AC Adapter. Great as an extra or in case that you lost your old one. A Windows Connect 10.1 Tablet PC. Connector：USB 2.0 A Male To DC 2.5mm. Check the pictures of the connector at the top of this page. Golocal24-7 specialise in providing accessories and repair parts for a wide, and high quality, range of gadgets. 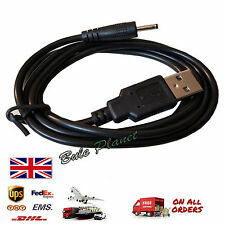 Designed for use with the black micro USB cable included with the new Kindle Fire or Kindle Fire HD devices. Output: 5V, 1.8A. Compatible Model: iPhone 4, iPhone 4S, iPad 2 Colour: White. Specification: Condition: Brand New - Sealed in Box. Input: AC 100-240V, 50-60Hz Output: 15V 4A 60W Manufactured with the highest quality materials Built-in overload, over-voltage and short circuit protection High quality UL SA CE RoHS approved 100% compatibility with the original This product is good for the following Models and Part# 65W AC Charger Power Adapter For Microsoft Surface Pro 3 Pro 4 Go 1625 1706 1735 100% New Components - never refurbished, recycles, or used Non-OEM but 100% Compatible - Guaranteed to meet the specifications of your original device Nearly all our products have UL, CE and RoHS certificates. 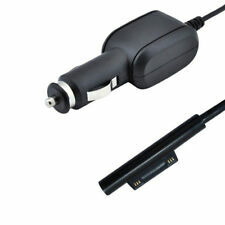 Designed for the tablet with a UK 3 pin plug and long built in lead simply plug it in and your tablet is charging. LED Power Indicator. Overload & surge protection. Made For - IPhone 5 - IPhone 5s - IPhone 5c - IPhone 6 - IPhone 6 Plus- IPhone 7- Iphone 7Plus - IPad Mini - IPod/. This USB Lightning 8-Pin data sync cable connects your iPhone directly (or via dock connector) to your PC or to Mac for faster syncing and transfer. OTG Micro USB Adapter. Most of Android Tablets. High Quality adapter. compatible with modern device Galaxy TAB 3. Nokia N810/N9. Female To Female Lightning Charging Converter Adapter For Apple Pencil iPad Pro Detail: *8pin Female Converter Adapter allows to charge your Apple Pencil directly from any lightning cable. *Mini size, perfectly place in your pocket. *Easy to use. *Item Condition:100% Brand New *Color:White (As Pictures Show) *Input:DC 5-12V *Output:DC 5V Warm tip:This adapter can't be used as a Lightning Cable Extender. Package Contents: 1*Converting Adapter (Lightning Cable and Apple Pencil are Not included.) Notes: The real color of the item may be slightly different from the pictures shown on website caused by many factors such as brightness of your monitor and light brightness. Great as an extra or in case that you lost your old one. And JXD S7800 S7800B Gaming Tablet. Compatible with: Most of the Tablet Models. Construction and minimal, unobtrusive design. Samsung Galaxy S7, S7 Edge. Samsung Galaxy Note 4. Samsung Galaxy Tab 3 (10.1). Samsung Galaxy S6. Samsung Galaxy Tab 3 (7.0). Samsung Galaxy S6 Edge. Samsung Galaxy Tab A 7.0. Cable length. Data Transfer rate up to 450-Mb With Compatible devices. With specially designed pattern, small and easy for storage and take. Plug type: UK plug. Cable length: 1m. Hannspree Hannspad HSG1279 10.1 Tablet. 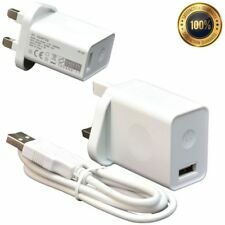 1 x CE wall plug. Fuse inside. High Charging efficiency. short Circuit and Ocerload Protection. Back up your Samsung Galaxy Tablet files on to PC and enjoy data transfer with the Samsung Galaxy Tablet USB Data Cable. for Samsung Gaalxy TAB 2 Tablet 7" 8.9" 10.1" UK. Samsung: Galaxy Note 10.1. For Apple iPhone. 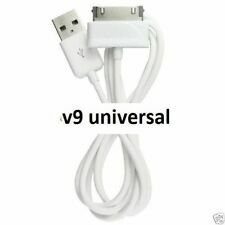 Compatible devices: this cable works with Apple devices that have a 8pin port, including the Apple iPhone X, iPhone 8, iPhone 8 Plus, iPhone 7, iPhone 7 Plus, iPhone 6s, iPhone 6, iPhone 6s Plus, iPhone 6 Plus, iPhone 5, iPhone 5C, iPhone 5S. IPhone 6s Plus. And of course, you can still use your 30-pin cable. USB connection. 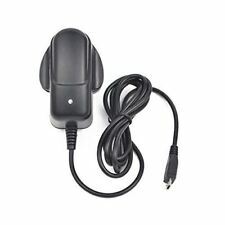 AC adapter includedYes. Plugs into any wall power outlet. 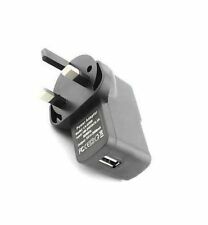 AC adapter output current2.1 A. USB ports quantity1. iPhone 5/5s.